George Benson: Hi Paige! Thanks for joining me today. How are you doing? Paige Peltzer: I'm doing well, thanks George. George: Awesome! Not a problem. ☺ Where am I speaking to you from today? Paige: My office in Oakland, California. Where we are finally getting the rain we've needed the past few years. George: Oh gosh! That sounds just lovely. As a Pacific Northwester, I always approve of rain. Paige: I'm glad I have rain boots. George: Haha. Essential. So, to kick us off here, I wonder if you can tell folks your title with APA is and where you went to school? Paige: Yes. I studied urban planning at the Harvard Graduate School of Design and I am the Region 1 representative for the SRC Executive Committee So I represent the northeast. from all the way out here in Oakland. George: Haha. Well, it's a tough balance to strike, but I know you’re doing great. ☺ So, when you were at Harvard, were you involved in the planning student association there at all? Paige: I was. My second year, I served as the APA Planning Student Organization (PSO) representative and the as the community engagement chair — it was one position with two areas of focus. George: Excellent! What did your work consist of? Paige: I helped plan our events with other planning programs and local practitioners ... most of my work was focused on APA/professional development-related programming. George: Can you say more about that? Paige: Sure. we had a lunch series with practitioners in various planning-related fields, facilitated student head shots, set up a breakfast series for students within their concentrations to speak to their concentration advisors, and I tried to help coordinate my school's attendance at the national and regional APA conferences. I also spoke on the panel at last year's APA Massachusetts four-school event, hosted at MIT. George: Sounds like you took on a lot, that's fantastic! Paige: We had a great student board last year! George: From doing all of that, what made you decide to get involved with the SRC? 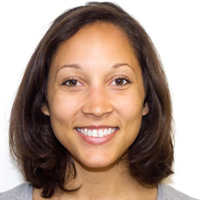 Paige: I decided to get involved with SRC Executive Committee because I had just become the APA rep for Harvard. I knew Harvard hadn't been registered as a PSO for a while, and I wanted that to change. When I visited planning programs as a prospective student, I heard several students talk about their experience being involved with APA and how they had made great connections and received APA scholarships. I thought Harvard students should have those opportunities too. And I was happy to learn about the national APA organization better, so I took the opportunity to serve on the Executive Committee. George: That's really great to hear that you were so involved in bringing Harvard into the APA again. It's a strong commonality amongst the SRC that people had an APA representative position before they joined, as well as people wanting to flesh out what the relationship to the APA was. As you have experienced it, particularly the connections with students and other professionals that you have made so far, what do you feel the primary value of APA is? George: That's awesome. And yes, I think those are values that are really shared throughout the SRC ExComm. So, turning tack a little bit: what's your current job? Paige: I am an associate at Economic and Planning Systems, Inc. We deal with the economics of land use, so we have public and private clients, and we crunch the numbers for various types of planning work. Paige: I'm learning a lot! George: Is it in line with what you studied in your degree? Paige: It is very much so. My most relevant classes were real estate development, affordable housing development and policy, public finance, and zoning law. It's very gratifying to use skills and knowledge gained in the classroom here at my job. George: Always good to hear people's degrees are useful. Paige: Coming from a very theoretical undergrad program, it was nice to be able to study things that I knew I could use on a daily basis. George: From what you are seeing so far in the field, what do you see as some of the biggest challenges coming up in the planning profession? Paige: Right here in the Bay Area, I see quite a few planning challenges coming to a head in a big way. Those include affordable housing, inequality, aging infrastructure, and resiliency planning. Housing being the number one issue on everybody's mind. George: Yes, absolutely. Coming from Vancouver, I can absolutely sympathize. George: So, coming out the other end of the SRC experience, do you see yourself being involved in the APA in the future? What kind of roles might you be interested in? Paige: I plan to stay involved with some type of volunteer position after my tenure with SRC ends. Whether that's for the California Chapter, the NorCal Diversity Group, or the Women in Planning Division, I'm not yet sure. I like the idea of being involved in planning events and programming for people with a shared interest within planning. George: Before we close: any final thoughts you'd like to offer to anyone thinking of joining the SRC? Paige: If you're willing to put in the time, I'd definitely recommend doing so! I've learned so much about APA as an organization, and the top issues and agenda's being addressed by planners across the nation/world right now, and I've met really great people. Aside from the people I've met at the leadership meetings in the fall and spring, it's been amazing working with the other SRC members. I look forward to hanging out with them every conference. Top image: Student Representatives Council Executive Committee: (from left) Sophee Payne, (Region III), Lisandro Orozco (Immediate Past Chair), Ellen Forthofer (Chair), Paige Peltzer (Region I),Shelley Price (Region II),George Benson (Region V), Anna Ma (Region IV). Not pictured: Lance MacNiven (Region VI) Photo courtesy Anna Ma.